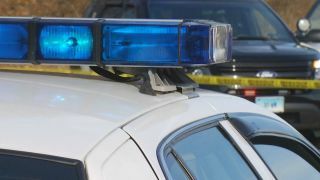 A stray bullet struck a 1-year-old boy as he was being held in his mother's arms Friday morning in Richmond, according to police. After receiving a report of shots fired, officers responded around 10:15 a.m. to Bissell Avenue and Second Street, said Richmond police Lt. Felix Tan. While on their way to scene, officers learned a mother had arrived to Kaiser Permanente Richmond Medical Center with her child who was suffering from a gunshot wound to his lower body, Tan said. A short while later, officers learned a 25-year-old man suffering from a gunshot wound to his upper torso area had also arrived at Kaiser medical center, according to Tan. Officers determined the two hospital patients were victims of the same shooting near Second Street and Bissell Avenue. While officers were unable to apprehend the shooter, officers believe the suspect had targeted the 25-year-old victim, Tan said. The 1-year-old was with his mother at the time of the shooting, about one block north from the scene, according to Tan. Both victims are expected to survive. Furthermore, the 1-year-old may be released from the hospital sometime today, Tan said. Anyone with information about the shooting is asked to contact Richmond police Detective Dan Wellhausen at (510) 620-6860.